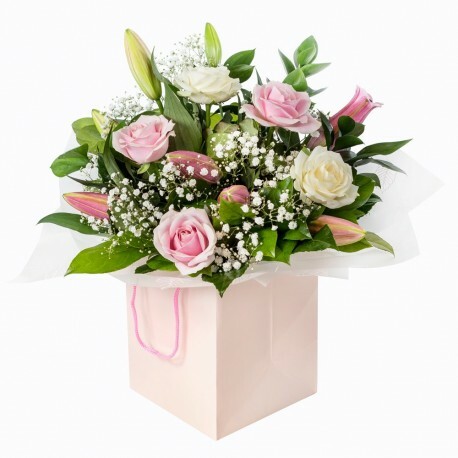 This Lily and Rose Hand-Tied bouquet is absolutely stunning in Pink and Cream! The long stemmed Roses and heavily scented oriental Lilies are perfect together as they complement each other to create a stiking floral display. The beautiful blooms are teamed up with mixed foliage.